I know many of you recall (or still read) the old "Ripley's Believe it or Not!" comic panel ... and you might be interested to know that the Big Sky Country once had something similar. Back in 1940 a Miles City artist named Jim Masterson created a regular newspaper feature called "It Happened in Montana." 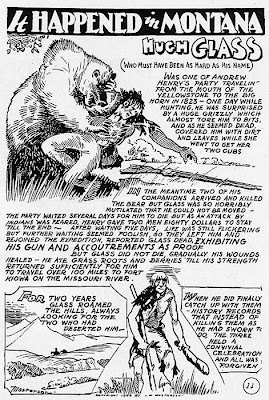 In line art and text, each comic retold a well-known Montana anecdote, or remembered a moment in the state's history. "It Happened in Montana" was carried in 51 newspapers across the state, and the panels were later published as a series of pamphlets. The original drawings are preserved at the Range Riders Museum in Miles City.